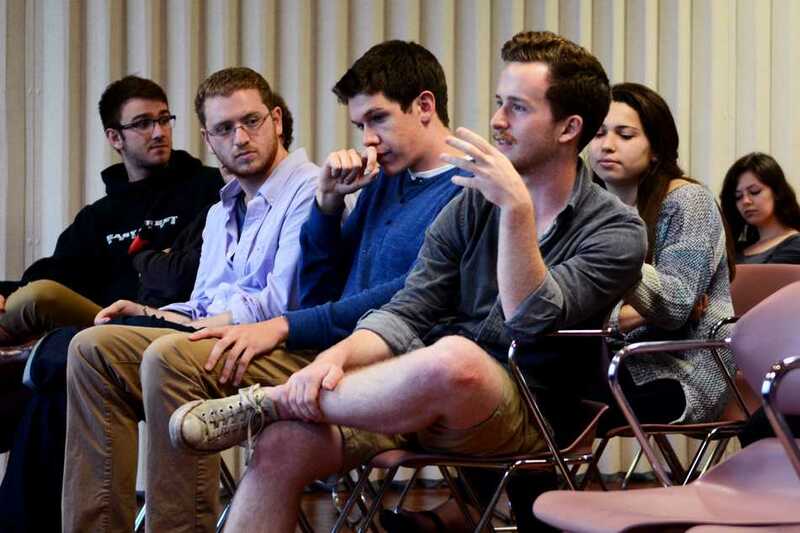 A panel hosted by Students for Sensible Drug Policy on Wednesday night discussed the role alcohol plays on Northwestern’s campus and the impact of the drinking age on drinking culture. In front of a crowd of about 20 students, the panelists, who included faculty and students, gave different perspectives on the issue, some relating it to their job, while others related it to their personal experiences. McCormick sophomore Jacob Kobza, one of the panelists, lived in five different countries while growing up, and said he has only seen the issue of binge drinking in the U.S. He attributes this partially to the drinking age, but more to cultural differences. Weinberg junior Rex Tai, co-president of SSDP, began the conversation by outlining the history of alcohol regulation in the U.S. The current drinking age stems from the National Minimum Drinking Age Act of 1984, which used highway funding as an incentive for states to raise the drinking age to 21, he explained. Panelist Lisa Currie, NU’s director of health promotion and wellness, explained that the law was passed to help prevent border hopping between states with different drinking ages. Despite the law, drinking ages are still set by each state. Tai, who moderated the panel, and students in the audience questioned if University policies curb drinking on campus, or just move it to off-campus locations. In particular, they questioned the effectiveness of the “Freshman Freeze,” when freshmen cannot enter Greek houses their first three weeks on campus, including during Wildcat Welcome. Students asked if the policy simply forces students to go to off-campus to parties at Greek-affiliated houses and then walk back to campus late at night. Panelist Lance Watson, assistant director of student conduct and conflict resolution, explained that this policy is in place more to help students find their footing on campus. He also added that most of the violations he sees are not simple possession charges, but what happens after the student finishes drinking. The panel concluded that in order for the drinking culture to change, there needs to be a societal shift rather than more laws and regulations. Currie urged those present to communicate with each other about what they see as acceptable behavior, instead of acting as bystanders. Sociology Prof. Nicola Beisel, another panelist, said this all depends on the situations where students are drinking. She explained that most students are never taught how to drink outside of a party setting.